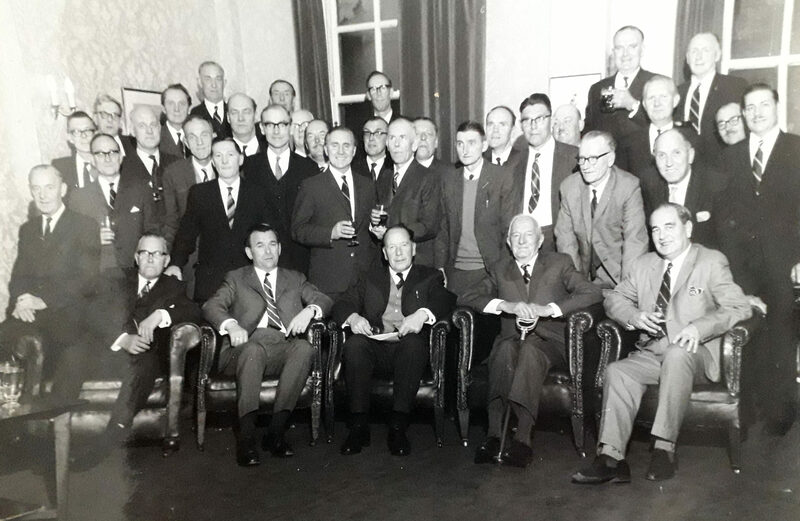 This reunion took place at the Duke of York’s Barracks in London and an account may be found in The Wire dated July-August 1969, page 260. Arnold Topliff is standing (partially obscured) in the centre rear. Seated at the centre in front is Lieutenant Colonel (Quartermaster) Monty Truscott and on his left is Lieutenant Colonel Eustace Levett OBE, Chief Signals Officer China Command, who was imprisoned in Hong Kong throughout the war. A diagram showing the attendees is elsewhere in this gallery.